The entrance to the national headquarters of the Roman Catholic group Opus Dei is the last place you would expect to find mention of "The Da Vinci Code." The conservative organization has spent the last few years trying to escape the best-seller's shadow, after the novel portrayed Opus Dei as a murderous sect fixated on power and self-mutilation. But now the low-profile spiritual community is trying to improve its image ahead of a film based on the book. The campaign begins at the door, where a sign invites fans of the Dan Brown novel to learn about "the real Opus Dei." "The unfortunate thing is there are going to be tens of millions of people who will read the novel and see the movie and have that be their only exposure to Opus Dei," said Brian Finnerty, a spokesman. "Because the book is marketed as being in some ways factual, it's difficult for people to tell where the lines between fact and fiction are." 3The movie, starring Tom Hanks and directed by Ron Howard, is set for May 19 release and is already expected to be a blockbuster. Opus Dei is trying to counter with its own productions. Founded in Spain and now with 86,000 lay and clergy members worldwide, the group has commissioned a short documentary that extols the benefits of its emphasis on personal holiness in daily life. The organization has about 3,000 members in the United States. Leaders are also working with American and British TV networks on independent documentaries about the organization to be broadcast around the time of the movie's release. And reporters are being invited to tour the $57 million U.S. headquarters, which is a residence for Opus Dei members and a center for community activities. The organization plans to highlight its charity projects worldwide, including work with young people in poor Chicago neighborhoods and a wide range of health and communications efforts in Africa. They have also turned to the Web for help. 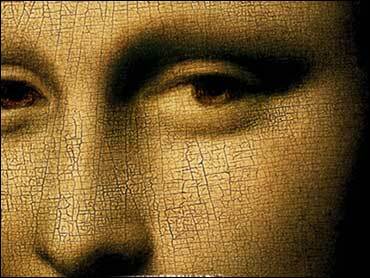 Among their many postings is a new blog on "The Da Vinci Code" by a young Opus Dei priest based in Rome. And in a surprising partnership, the group has struck a deal with Doubleday, the publisher of the novel, to release "The Way," a collection of spiritual thought by Opus Dei founder Josemaria Escriva, considered a key text for the group. The publishing date is just 10 days before the movie opens. One thing Finnerty said Opus Dei would not do is call for a boycott of the Sony Pictures film. Leaders of the community are aware that bitter criticism of Mel Gibson's "The Passion of the Christ" helped popularize that movie, he said. "We wouldn't want to do Sony the favor," Finnerty said. He said Opus Dei approached Sony about their concerns, but received only "vague assurances" in response. Asked about Opus Dei's worries, Sony spokesman Jim Kennedy said the company views "The Da Vinci Code" as "fiction that is not meant to harm any organization." Opus Dei's image problems did not begin with Brown's novel and likely will not end with the Howard-Hanks film. Ever since it was established in 1928, the organization has been controversial within and outside the church. Inside the church, it is unusual for a group to bring together men and women, and lay people and clergy, in one association to spread the Gospel. Outsiders have especially seized on Opus Dei's practice of "corporal mortification." About 30 percent of lay members have taken vows of celibacy, and they wear a small barbed chain around the upper leg called a "cilice" for part of the day as a spiritual discipline. Some ex-members have started opposition groups, such as the Opus Dei Awareness Network, to raise questions about this and other practices by the group. Secrecy also is an issue: Opus Dei's historic resistance to revealing the names of members, leaving that decision to individuals, has sparked claims that it is a cult. Still, Finnerty said the book brought a new level of hostility. His office still receives e-mails and letters related to the book that he characterized as hateful. 2Brown said on his Web site that he worked "very hard to create a fair and balanced depiction of Opus Dei" and denied that his book was anti-Christian. The novel contends that Jesus married Mary Magdalene and sired a bloodline, and that Opus Dei and the church are at the center of covering it up. An Opus Dei follower commits the murder that sets the plot in motion. Finnerty said that when the plot was first made public in the trade press, a colleague told him the story line was so silly no one would buy it. Three years and millions of sales later, Opus Dei hopes to turn the notoriety to its advantage. Said Finnerty: "It's given us a lot of opportunities to talk about who we really are."